The white "El Rey" 2 button shawl tuxedo coat by After Six combines tradition and fashion for an unbeatable look. 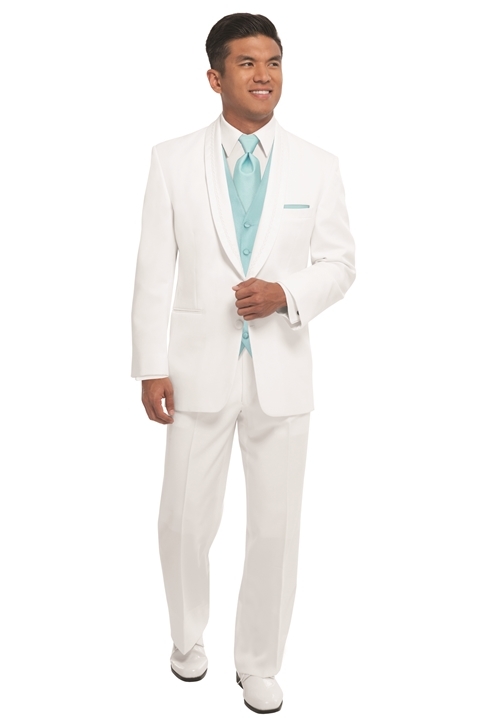 This white tuxedo coat features a satin shawl lapel with satin braiding, two button single-breasted front, 31.5" length, satin besom pockets, and is fashioned from white polyester. Whether you're attending a prom, quinceanera, wedding, or being crowned royalty of a small European county, the white 'El Rey' tuxedo coat is the perfect coat to commemorate the occasion.